Hostesses of this NEW product line from Stampin' Up!? Pick your date today! Only 4 spots open! Earn YOUR Stampin' Up! 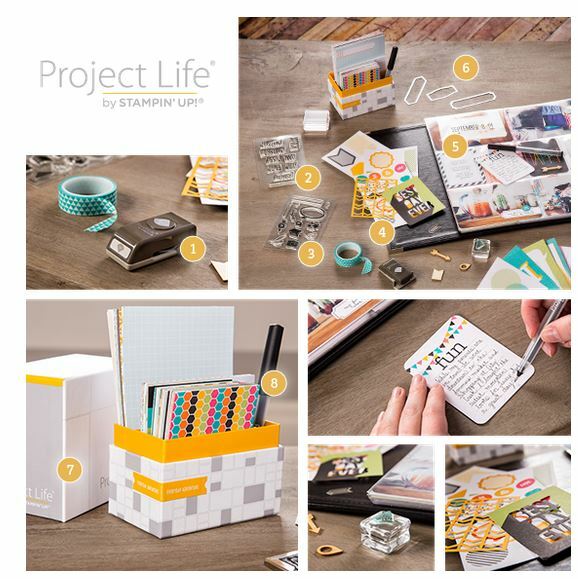 exclusive Project Life products for FREE! Hostesses earn FREE product AND projects! It's ALL about cultivating a Good life and RECORDING it! Simple, EASY, affordable, and QUICK! That's MY kind of project and memory keeping! Not only will I use Project Life in my life and hobby, but I will also teach, train, inspire, create and sell it! All my workshops will ALSO include a free make n take featuring more than just memory keeping! BE THE FIRST to host your own Stampin' Up! Project Life workshop! Watch this video to see what it's all about! May will be a new line, and by June, SU! will be adding to it! Don't want to host? I will also be hosting my OWN Project Life workshops where you can come learn and SHOP! If you would prefer to attend one to see what it's all about, email me today and I will add you to my list to receive the invitation with the dates! 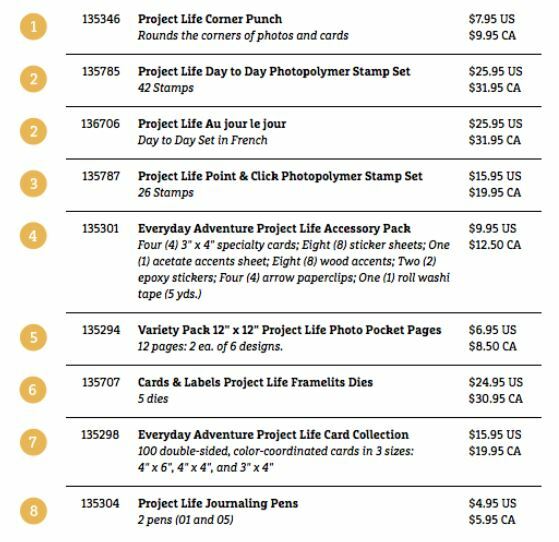 These are the Project Life products that are available now and then in June a more extensive product line will be released. If you already know and love Project Life and would like to try out the exclusive Stampin' Up! Project Life products, you can find the products in my online shop. I hope to help you document your memories soon! Have a creative day!